I was invited to share my interpretations of and opinions on The Force Awakens -- including my five-point rebuttal to the "derivative" objection -- in an extended interview on MuggleNet Academia with hosts Keith Hawk and the Hogwarts Professor himself, John Granger, as well as my fellow Potterphiles Emily Strand and Shannen Michaels. 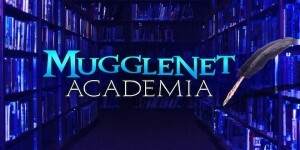 Check out MuggleNet Academia Lesson #41: "Lightsabers and Wands"! If you listen, I hope you enjoy. I should mention that some of my comments on "Rey's Theme" from John Williams's score for The Force Awakens were inspired by the insights of the brilliant David W. Collins on Rebel Force Radio's "Oxygen Vol. 25: The Music of The Force Awakens, Part 1." Highly recommended! Note: I'm still recovering from my recent illness, so I've fallen behind in my replies to comments. I'll be catching up soon! We really missed getting a Virginia Christmas card this year, and I know you must have missed being able to send them. Augh, so much. We just didn't have the heart to send anything else. Thanks for remembering us! Hugs back at you! <3 Thank you! I hope you recover quickly, but in the meantime, please don't overdo it. Thanks so much! Wise words. The fatigue following all of this has been the worst thing by far, and the doctors all say I can't rush things. But wow, is it ever difficult! I'm not known for my patience. ;) But at the moment I don't have much choice.